After a stupendous response from the audience for the all the singles and teaser released so far, the happy makers of “Chal Mohan Ranga” are launching their jukebox on the eve of Ugadi. While Smt.Nikitha Reddy is presenting the film, Pawan Kalyan Creative Works along with Trivikram have combined with Sreshth Movies to produce Nithiin’s 25 directed by Krishna Chaitanya. 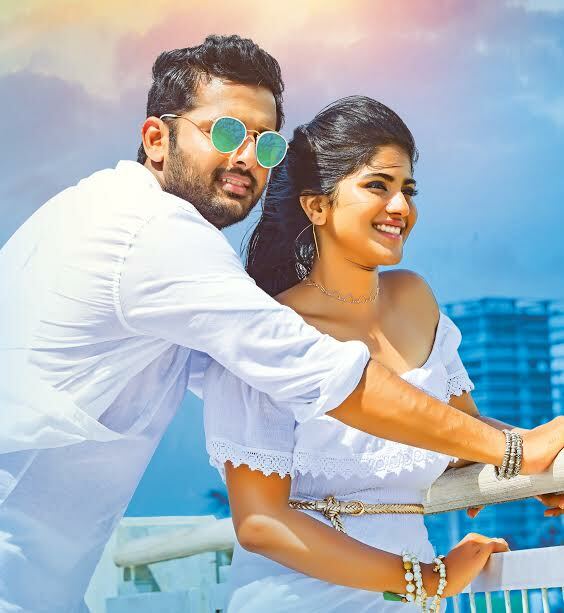 Nithiin and Megha Akash are pairing up once again for this beautiful seasonal love story. S Thaman has come up with a beautiful album which has all kinds of songs from western to regional, happy to sad, love to break up. Every song has set the bar high. The album explains the kind of journey the audience are going to experience in theaters which has varied emotions as dictated by the story. Krishna Chaitanya being a lyricist himself hasn't written even a single song in the album but has encouraged different lyricists for each song and every song has high lyrical value. N Nataraja Subramanian(Natty) of “A Aa” fame who is a master of maintaining the mood of the film from opening to rolling titles has done his part to the Tee. He has captured every location at its best giving us some breath-taking visuals.